The Law Office of Andrew Bryant will work to fight your DUI charges and all of the potential consequences that may come with them. If you have been arrested for or charged with DUI, call the top El Paso County DUI Lawyer today for help. Driving under the influence (DUI) of alcohol is a criminal offense under Colorado law, and suspected offenders are charged in criminal court. If you’re convicted of a DUI, the court may sentence you to alcohol therapy, community service, substantially fine you, or incarceration in jail. If you have multiple DUI convictions, these penalties will increase, and if you have 3 prior alcohol-related driving convictions, you can be charged with a felony. If you’re facing any alcohol-related charge, call contact a Colorado Springs DUI Attorney ASAP. The Colorado Express Consent law states that any person who drives a motor vehicle in the State of Colorado shall be required to take and complete, and to cooperate in the taking and completing of, any test or tests of the person’s breath or blood to measure their Blood Alcohol Content (BAC) to determine if someone was driving a motor vehicle and either DUI, DUI per se (BAC over .08), DWAI, or a UDD (Underage Drinking and Driving). A breath test will be administered at the nearest police station. If you choose to submit to a blood test, you will be transported to the nearest hospital where a phlebotomist (someone specially trained to draw your blood) will draw two vials of blood. The first vial will be tested by law enforcement, the second sample is preserved and can be tested at the request (and cost) of the defendant. Finally, if the police believe they have probable cause to request that you submit to a chemical test, and you refuse, it will result in a one-year minimum suspension of your driver’s license. Worst of all with a refusal, the District Attorney can use your refusal against you at trial as proof that you knew you were too impaired to drive, and this is the reason why you refused to submit to a breath or blood test. Restitution for any damage that was caused during the DUI. 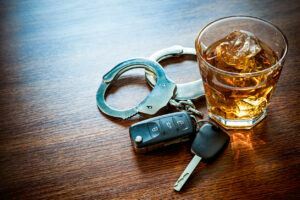 In addition to these direct sentencing penalties from the court, convicted DUI offenders may also face administrative consequences through the Department of Motor Vehicles. These consequences are not imposed by the court system but can include suspension of your driver’s license and the requirement that your car have an ignition interlock device installed. In some case, consequences through the Department of Motor Vehicles may have a longer lasting effect on a person’s life than direct consequences such as jail time. DUI’s are a serious matter no where you live. If you don’t hire a trustworthy, confident Colorado Springs DUI Attorney to represent you in the El Paso County Courts, your outlook might not be so great. Give Andrew Bryant a call today or shoot him an email for a free defense consultation. You’ll be glad you did!